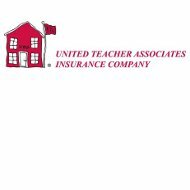 United Teacher Associates Insurance Company has been in existence since 1958 providing a variety of supplemental health insurance products. At first glance, it would appear that the company is part of some sort of nationally recognized teachers union, but that’s not the case. This appears to be a commercial insurance company owned, through several layers of subsidiaries, by American Financial Group Inc. If you’ll take just a minute to enter your ZIP code below you’ll have access to multiple health insurance quotes almost instantly. United Teacher Associates is a licensed business in 46 states, the U.S. Virgin Islands, and Puerto Rico. They do not do business in New York, Vermont, New Hampshire, or Rhode Island. For supplemental health insurance products in those states, consumers will have to look at other options. It is not clear whether the company operates in Washington DC. Very little is known about the specific insurance products offered by this company. In trying to research them, we discovered their website is very sparse to the extent that all it says is that they offer supplemental healthcare products. Such a vague designation could mean just about anything. However, researching the records of various states where the company does business provided a limited amount of additional information. From that information, we were able to deduce that United Teacher Associates provides supplemental Medicare insurance. These types of policies are designed to make up for coverage gaps that exist under standard Medicare plans. They kick in only when a patient’s Medicare coverage has been exhausted or where there is a hole in a Medicare policy. As a supplemental product is not intended to take the place of primary health insurance. Along those same lines, it is reasonable to presume the company offers Medicare Part D prescription coverage. Since this program goes hand-in-hand with Medicare supplements, there’s no reason to assume United Teachers Associates wouldn’t offer it. Our research further indicated that United Teachers Associates probably offers long-term care coverage, critical care coverage, income replacement, an accident expense coverage. These types of policies are not confirmed, just suggested based on some of the information we found. If you want to know for sure what types of health insurance, coverage this company provides you will need to contact them directly. The company’s website does provide an access link for agents so we know they utilize agents in their states of operation. Unfortunately, United Teacher Associates doesn’t provide an online method for locating independent agent in your area. To get that information you would have to contact the company headquarters and ask. It’s also not clear how popular this company is in the marketplace. Therefore, you may or may not have a local agent within reasonable distance from where you are. As late as spring 2009, United Teacher Associates, and its three successive owners all received high marks of A+ or better from A.M. Best. Yet in May 2010, the financial ratings services organization revisited the ratings for United Teacher Associates and downgraded them to a B++. The downgrade reflects the fact that the company’s assets are not necessarily keeping pace with the claims being paid. However, the strength of United Teachers three parent companies means that they are still on healthy financial footing. As a demonstration of that fact, we can consider business records filed with the state of Texas at the end of 2010. Those records show that United Teachers Associates had total assets of just over $506 million. Their policy surplus was reported at $56.1 million while their total working capital was just over $2.5 million. While these numbers are not as large as some of their competitors, the ratio between total assets and policy surplus indicates good health. Begin your search for affordable health insurance rates by entering your zip code into the box below.